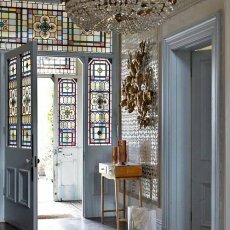 Stained glass can take a simple door layout and make it elegant. Insulated stained glass units for our exterior doors are of the highest quality. They are 3/4" triple pane units meaning your stained glass design is protected within the center of two pieces of tempered glass. Having a triple pane unit only adds to the insulation value of the door. Non insulated stained glass can be added to any interior design as well. Create your own stained glass unit from dozens of glass colors and caming selections. Use our Printable order forms to write measurements, designs, and notes down as you browse our website or walk through your project. Use the custom design sheet to create or recreate the door design you need. When ready fax them to us at 315 324 6531. Or you may call us at 1-800-787-2001 to connect with a member of our sales staff, then mail or email your order form and designs directly to them. We enjoy working with the needs of each and every client. WindowPix 18x12 / 18 x 12" Decorative Static Cling Window Film Solar Stained Glass Geometric Pattern . Printed on Clear for Window Glass panels. UV protection, Energy Saving. Quick n easy application - lasts for years. Easy to clean with just soap and water. ELEGANT DESIGN: The beautiful semi-opaque floral design adds a touch of chic style to your windows. MESS-FREE APPLICATION: The peel-and-stick application process requires absolutely no adhesive to provide privacy without ruining your windows. EASY TO REMOVE OR RELOCATE: If you ever need to remove or relocate the film, simply peel it off of the window starting at one of the edges. 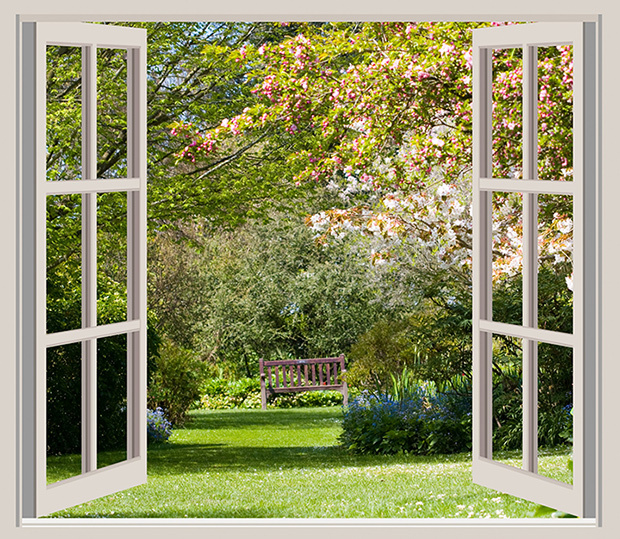 HEAT REDUCING: Partially blocks UV rays from penetrating through the windows in order to reduce glare and control heat. COST-EFFECTIVE: An affordable alternative to those pricey etched glass windowpanes.